THE BILLY JOEL - FRIDAY MUSIC 180 GRAM AUDIOPHILE VINYL SERIES CONTINUES!!! FIRST TIME 180 GRAM SUPER LIMITED TRANSLUCENT GOLD AUDIOPHILE VINYL!!! FEATURES SMASH HITS: "THE RIVER OF DREAMS" "ALL ABOUT SOUL" "NO MAN'S LAND" & "FAMOUS LAST WORDS"
Billy Joel’s last studio album "River of Dreams" wound up becoming one of his most successful albums of his amazing career. Released in 1993, the "Piano Man" was at the top of the charts with a number one album and a number one single with "The River of Dreams." The Doo-Wop influenced pop record thrilled audiences worldwide as he toured all over the world promoting the great album that it was. 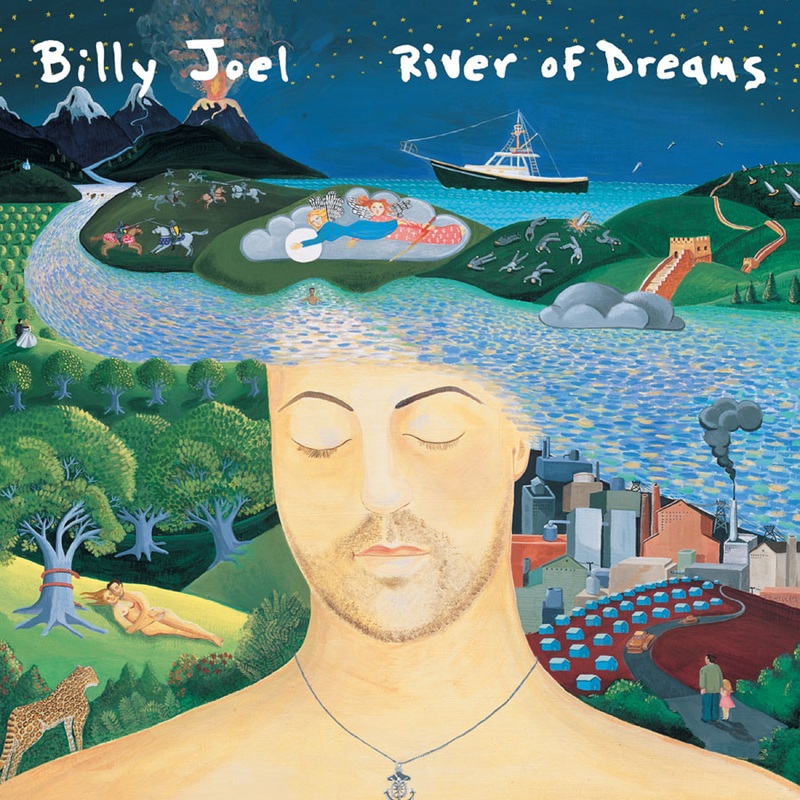 Two and a half decades later, these tunes still resonate with his fans as Billy Joel is currently embarking on a very successful concert tour, and Friday Music is proud to be a part of the celebration with one of his greatest achievements "River of Dreams." As another installment in our exclusive Billy Joel/Friday Music 180 Gram Audiophile Vinyl Series, we are very pleased to announce the super limited 180 Gram Translucent Gold Vinyl Anniversary Edition of this multi-platinum masterwork. Impeccably mastered by Joe Reagoso at Friday Music Studios and Capitol Mastering in Hollywood, CA, "River Of Dreams" features some of Billy Joel's greatest songs like the brilliant album opener "No Man’s Land" featuring the great Leslie West from Mountain on guitar, the R&B infused "All About Soul" , the hard rock nod to Cream with "Shades of Grey" and the stellar album closer "Famous Last Words." The award winner contains even more of his most loved classics like the stunning ballad "Lullabye (Goodnight, My Angel)" and the acid rock tinged flavor of "The Great Wall of China." Billy Joel’s "River of Dreams" on Friday Music 180 Gram Translucent Gold Audiophile Vinyl will become one of the more definitive classic rock re-releases this year. For a very limited time, we are also enhancing your listening experience with a striking gatefold cover artwork presentation, which features the Lp sized cover art for those who only remember this a CD release only back in 1993, as well as lyrics to all of these great Billy Joel songs, making this a keepsake for years to come. Billy Joel... "River of Dreams" ...Now on first time 180 Gram Super Limited Translucent Gold Audiophile Vinyl! An exclusive...Only from your friends at Friday Music.